It is a native to southern Europe and is cultivated for oil production in France and Russia. The name is derived from the Latin 'Claris' that means 'clear' or from the Greek 'Skeria' meaning 'hardness', referring to the hard parts of the flower petals. It was known in the Middle Ages as 'Oculus Christi' - the 'Eye of Christ' and was a highly esteemed medicine. Clary Sage is a stout biennial herb that grows up to 1 meter (3 feet) tall with large, hairy leaves and small blue/ white flowers growing directly off the long, thin stem. Small blue flower grow out form large bracts, pinkish in color. It is a perennial that grows fairly low to the ground with large oval fuzzy looking leaves. Aroma : Bright, Earthy, Herbaceous, with a subtle fruity note. Chemical constituents: Clary sage oil has various chemical compounds that include Linalol, Sclareol, Myrcene, Phellandrene and Pinene. Extraction: It is extracted by steam distillation of flowering tops. It is useful in the conditions like asthma, depression, digestive problems, exhaustion, muscle cramps spasms and respiratory problems. It is anti-inflammatory, antiseptic, antispasmodic and sedative.The essential oil is also used for depression, nervousness, sore throat, minor aches and pains. Clary Sage essential oil soothes, relaxes and warms. It is a generally uplifting essential oil when used in moderation. It contains a hormone-like compound similar to estrogen that regulates hormonal balance resulting in it use for moderating PMS symptoms. It is used in massaging on muscles and on abdomen before and during menstruation. Induces feeling of well-being. Enhances dream state and has sensual properties. It is helpful in asthma, depression, digestive problems, exhaustion, muscle cramps and respiratory problems. Clary Sage is calming, relaxing oil, which can assist in a restful night's sleep. It is also used as Burners and vaporizers In vapor therapy, clary sage oil can be used for nervous tension, stress, depression, anxiety, insomnia and menopause. It is particularly effective to help ease depression and create a more positive outlook on life and can also help to boost the creative side and intuition. Blended massage oil or in the bath Clary sage can be used in blended massage oil, or diluted in the bath to assist with muscle pains, frigidity, depression, anxiety, menstrual problems, PMS, stress, nervous tension, insomnia, cramps and addiction. It can be used in a cream or lotion, clary sage oil can be beneficial for skin problems, back pain and a stiff neck, as well as for body odors, PMS, skin problems and cramps. It is particularly good for balancing the production of sebum of the skin and to clear greasy complexions. The aroma is described as a sweet spicy scent that blends well with other scents giving it a wide variety of uses in the perfume industry. 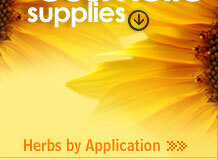 It containsa natural estriol, a phytoesgrogen and is diffused or apply topically on bottom of feet, ankles and wrists. 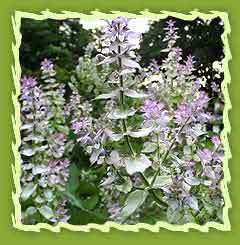 Clary sage may be added to food or water as dietary supplement. The leaves have been used as a vegetable in cookery. It is used as a flavoring in ales. Ale is a beer style brewed from barley malt with a top fermenting brewer's yeast that ferments quickly that gives a sweet , fruity and butter like taste. It is relished in European countries and Middle East. Most ale contains some herb or spice, other than clary sage which imparts a bitter, herbal flavour to it. It is also used as a flavouring in tobacco products. Clary can be used as a flavoring tea as it have a calming effect on the mind. It is also used in preparing mucilage which is a special adhesive composed of a solution of a sticky vegetable product or vegetable gum in water, used primarily to seal paper (e.g., postage stamps and envelope flaps).